Home on double lot with the added bonus of over-sized 24'x30' two+ car detached garage with 220 volt service. The detached garage is the perfect space for home based business, workshop or to simply store your cars, boat or other recreational vehicles. Interior of home is spacious and open. Great for entertaining guests and raising a family. Beautiful large yard, filled with mature trees, can be fenced in for added privacy. 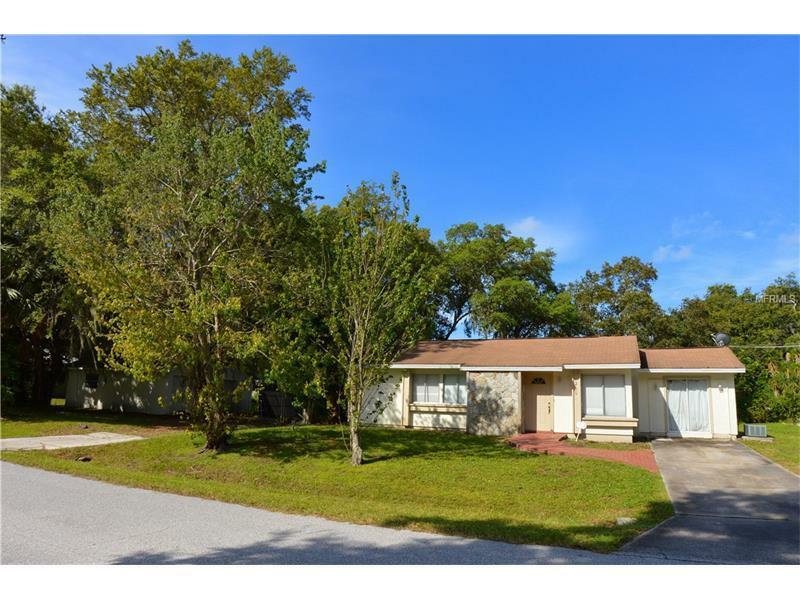 Great location with public boat ramps, shopping and dining just a short distance away. Current owner has blueprints available to expand the home. Original 12'x22' attached single car garage has been converted to storage space and 3rd bedroom however, you may convert it back to a single car garage. Home shown by appointment only.